This is the assignment Jamie wanted me to do as one of the Assignments from Readers. 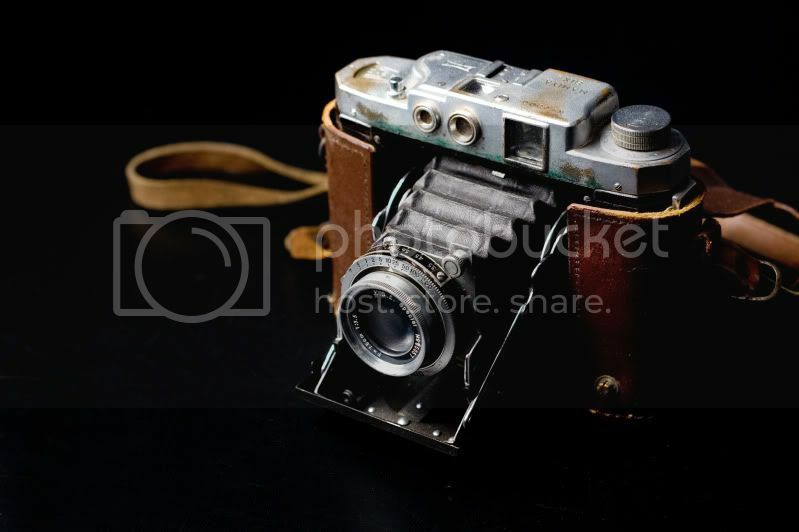 If this camera could talk I would love to hear some of the stories. Jamie’s Grandfather bought this camera in Japan when he was stationed there during the war. We were talking about this camera one day and how it made some of the best pictures. He also told me that if he could find it, he would give it to me. Well after he left us last month to go hang out with God, Jamie’s mom found the camera in a box and gave it to us. I will always remember Mr. Sykes’ smile and the talk we had about cameras. The camera will have a special place on our bookcase (once I build them) and a special place in our heart.